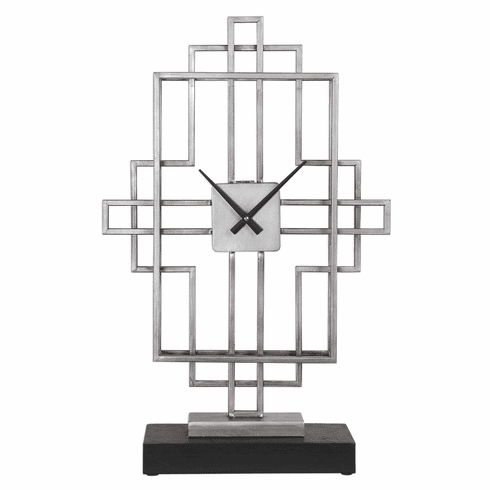 This tabletop clock features an open iron pattern finished in an antique silver and displayed on an aged, matte black base. Quartz movement ensures accurate timekeeping. Requires one "AA" battery. Dimensions: H: 23", W: 11", D: 5"